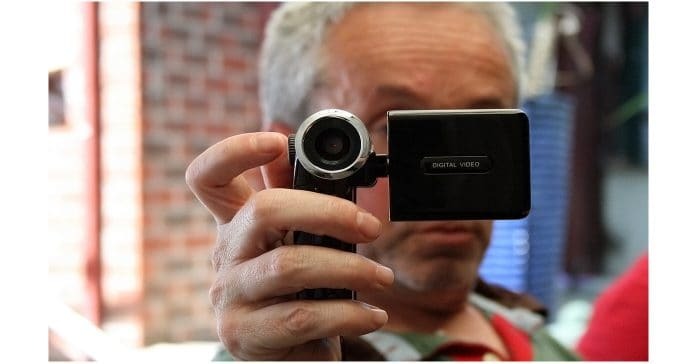 In this series of articles on shooting better homemade videos I wanted to address a few of the basic concepts that the average video editor can learn and apply to not only shoot better videos but to make the video editing process much easier. For the average person, simply keeping these points in mind and sticking generally to the rules and advice I have laid out should improve the quality of your home made videos enormously. The first point to cover in any of this is that fact that no matter what the video project is that you are engaged in, you are telling a story. Every time someone watches your video they will follow along… or not, from the point of view that they are watching a story unfold. This concept applies to the ads you see on T.V., Hollywood blockbusters, soaps, sitcoms or home movies of the family vacation. So the simple fact here is that whether you like it or not the viewer, when presented with moving pictures, enters the mindset that they are following a story and their attention will hold or stray solely based on your ability to tell that story. The reality is that most people don’t have this “story-telling” mindset when they make a video for others to watch. Usually, in shooting the video they are taking random shots over the course of an event or attempting to capture the entire event all in the desperate hope that they have enough footage at the end to make an interesting video. The result of this approach is that they find themselves extremely restricted in the range of shots they have available for editing to present that event. Avoiding this problem doesn’t require any great technical skill or even any technical application! It simply requires a change in your approach to what you are shooting and how. In other words, regardless of the event you are shooting the first step in making better videos is to at least mentally imagine that event as a story. And like any good story it has a beginning, a middle bit and an ending!